Smart Car iPod adapters and iPhone adapters, iPod cables for Smart Car models. Connect iPod or iPhone to your Smart Car car stereo. 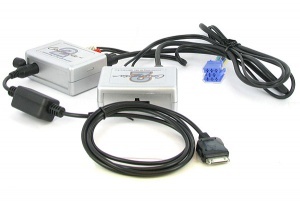 iPod adapter and AUX input interface for Smart ForTwo and ForFour 1999 onwards with mini-ISO connector at rear. 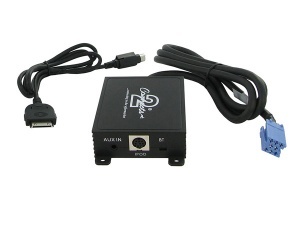 Smart Car iPod adapter for Smart Car models with Grundig MC1200 head-unit.